Simpson And His Donkey - Canberra - Australia is a photograph by Steven Ralser which was uploaded on September 2nd, 2018. A statue of John Simpson and his donkey carrying a wounded soldier. Simpson would recover wounded soldiers form the battlefield at Gallipoli with his donkey. 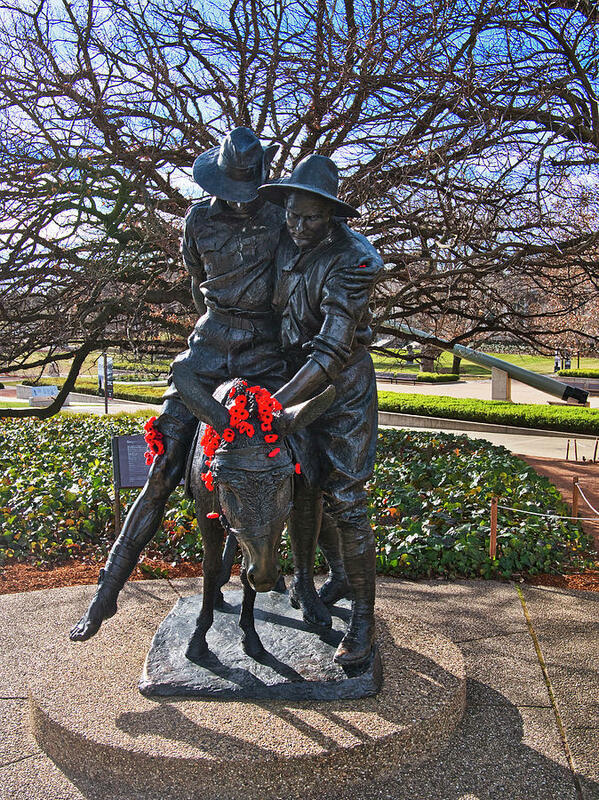 This statue is outside the War Memorial in Canberra, Australia. The red poppies are used to commemorate servicemen and women killed in all conflicts. Wonderful capture! love the added red flowers nice touch! That splash of red is perfect.